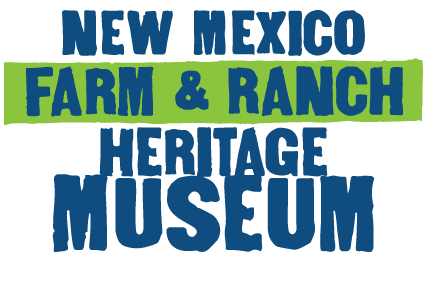 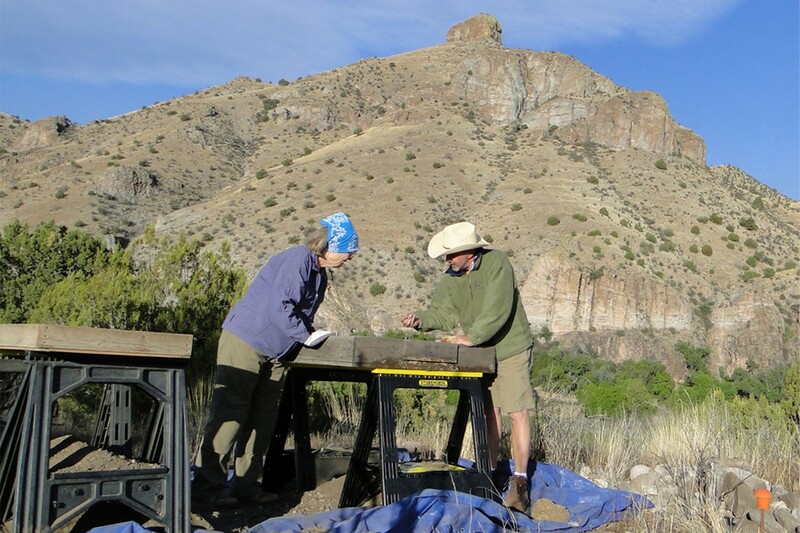 During the late 1100s both Mimbres and Socorro tradition sites were relatively small and scattered up and down the canyon in areas where rainwater could be directed to their crops. 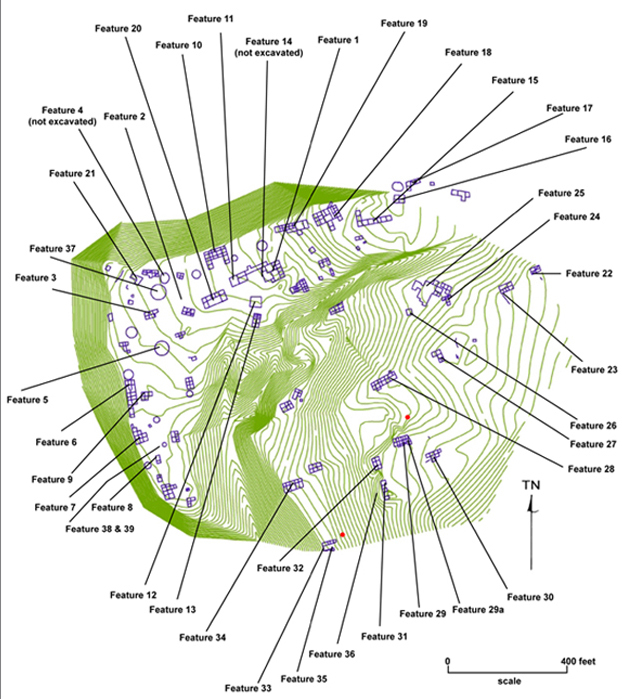 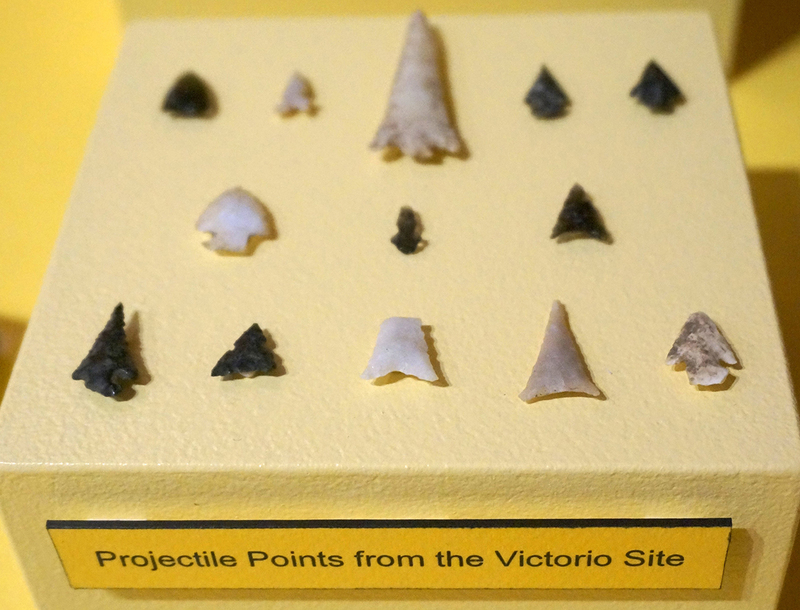 But by A.D. 1200 both groups had merged and began to build their homes on a single location, the Victorio Site. 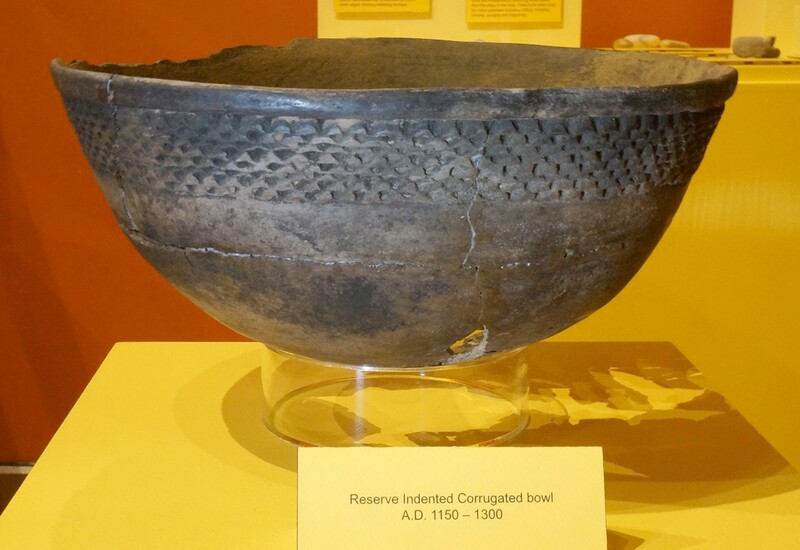 It is uncertain why they joined forces, but by doing so, they increased their labor resources and improved agriculture production. 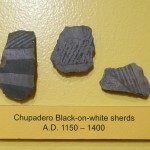 Jacal and masonry architectural styles found on the site suggest a continuation of both Mimbres and Socorro masonry traditions. 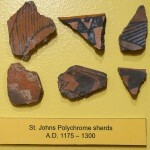 But the ceramic styles had changed. 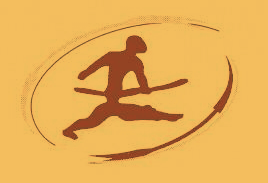 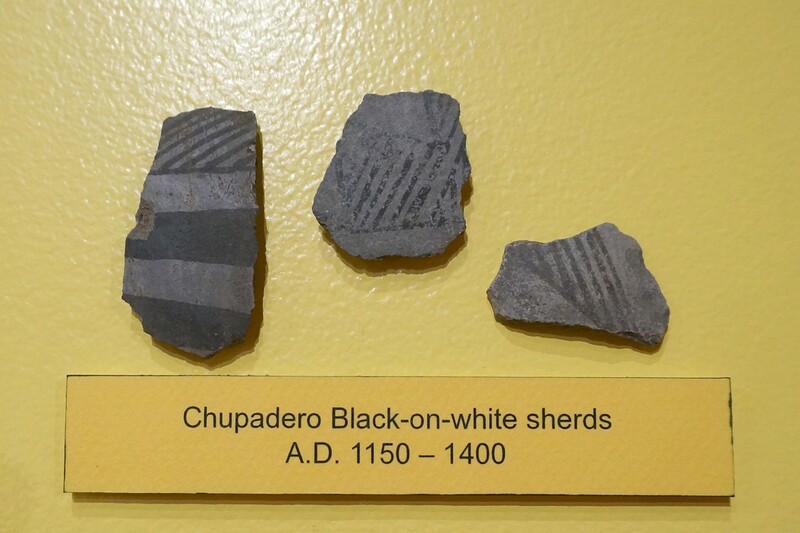 The production areas for both Mimbres and Socorro pottery became defunct by AD. 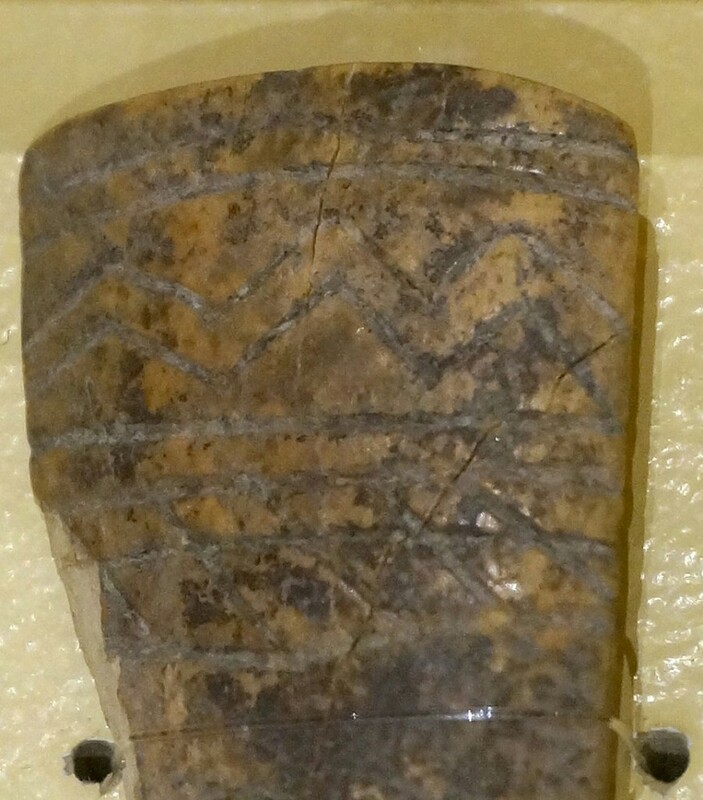 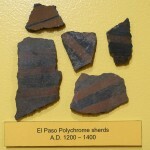 1200 and were replaced with pottery from the ancestral Zuni area in west central New Mexico. 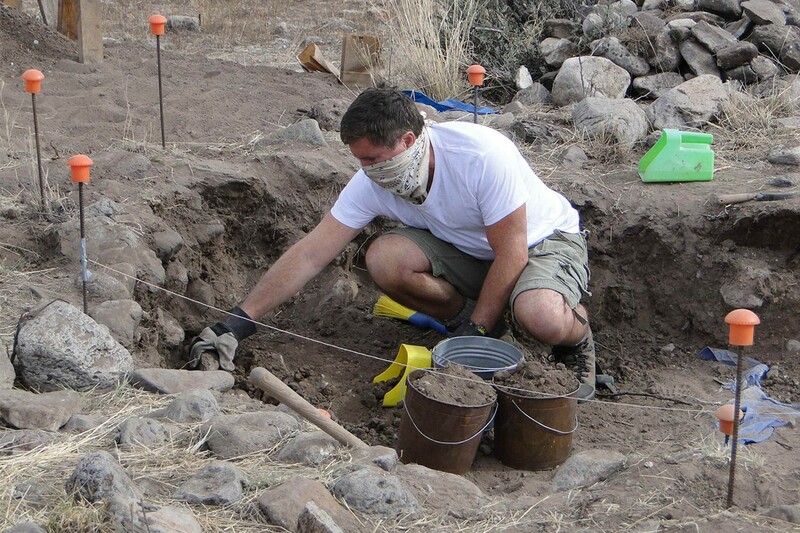 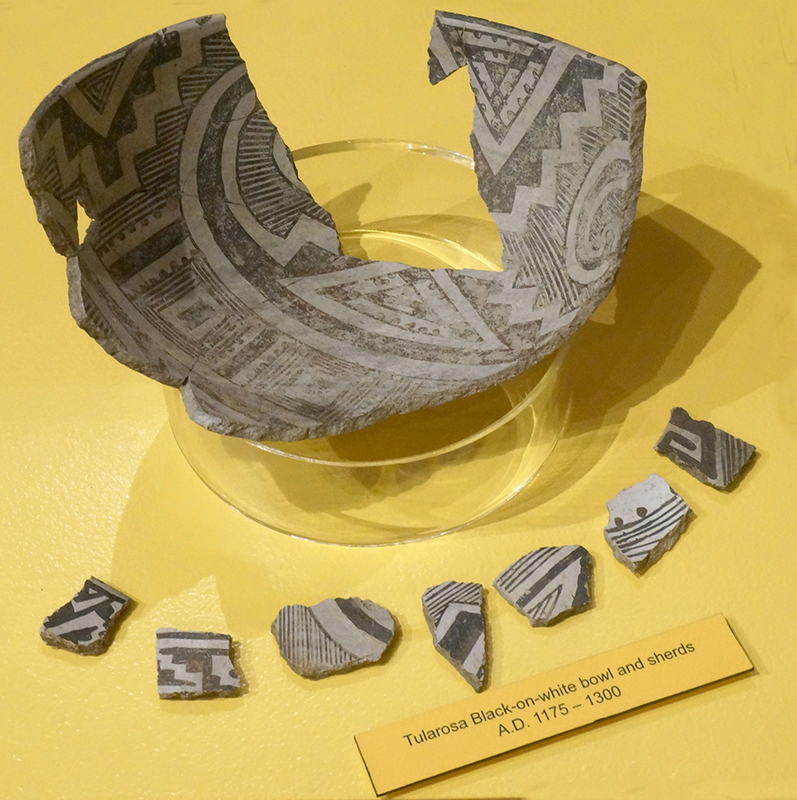 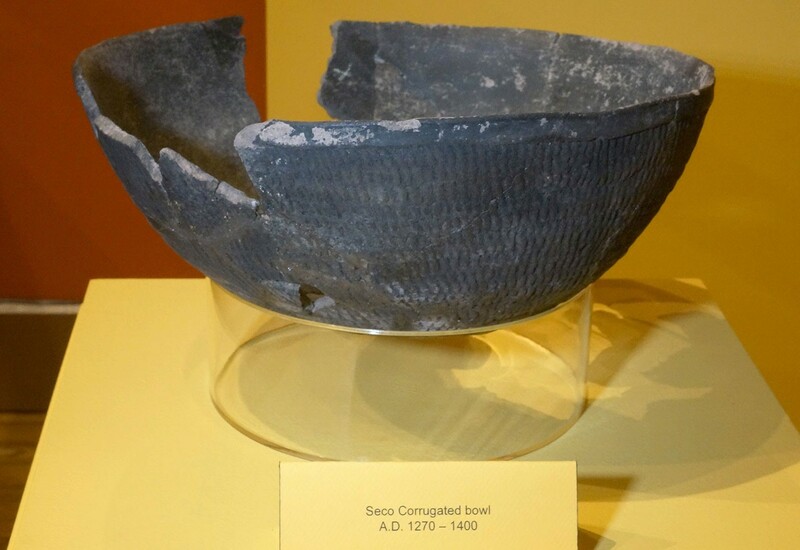 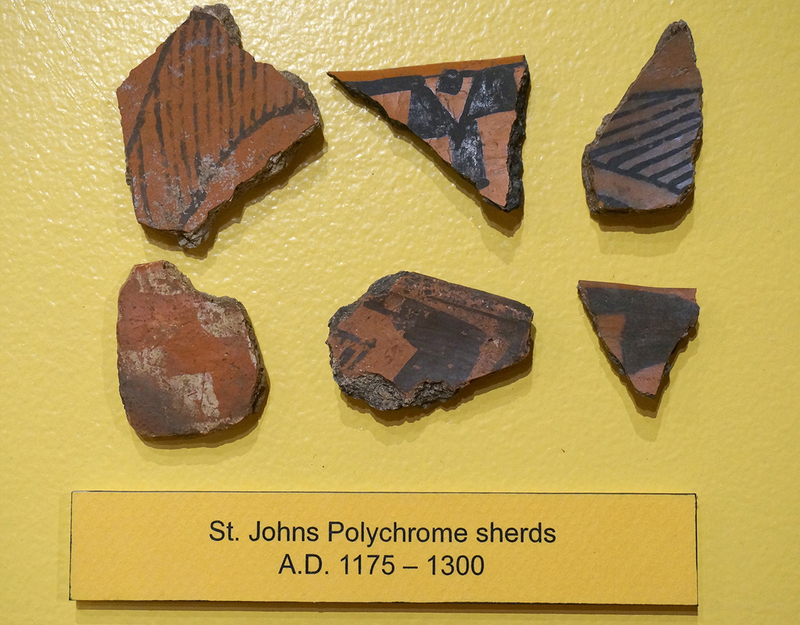 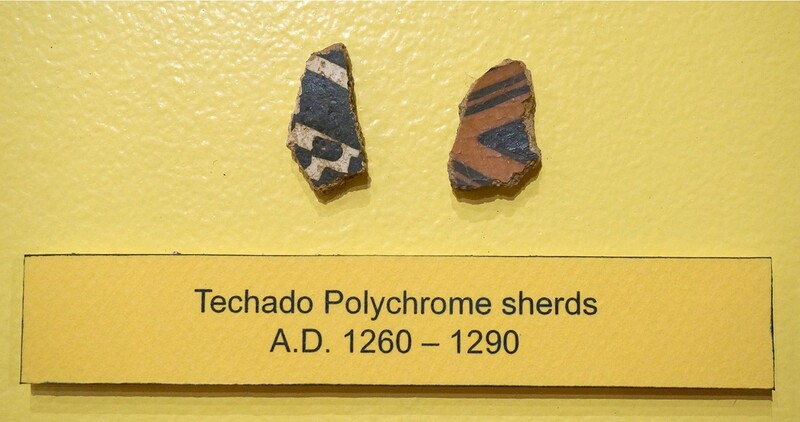 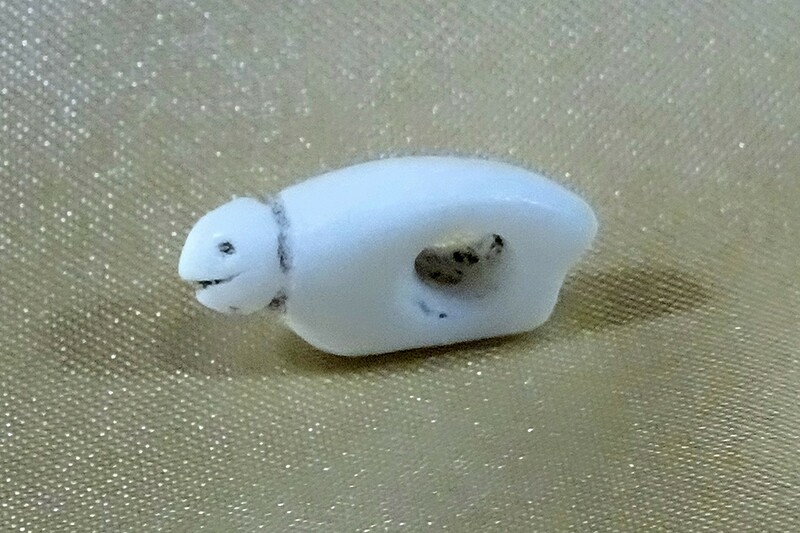 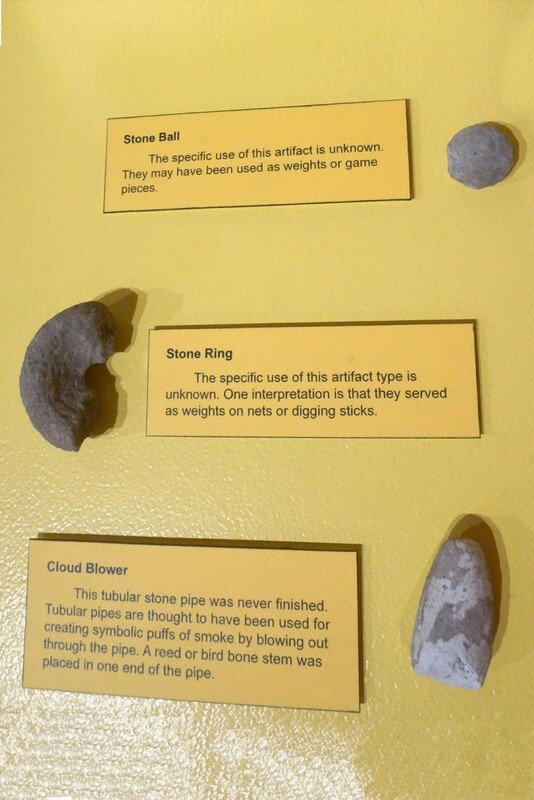 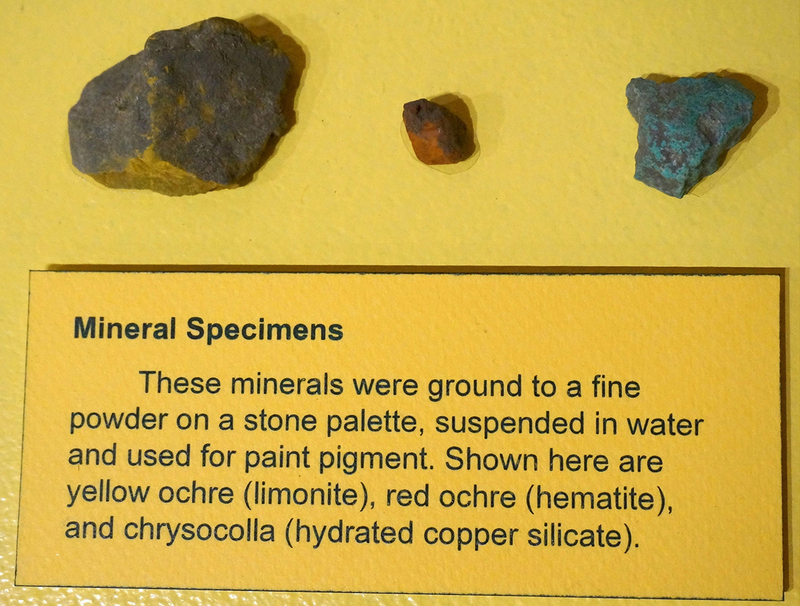 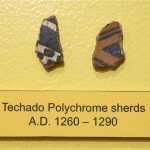 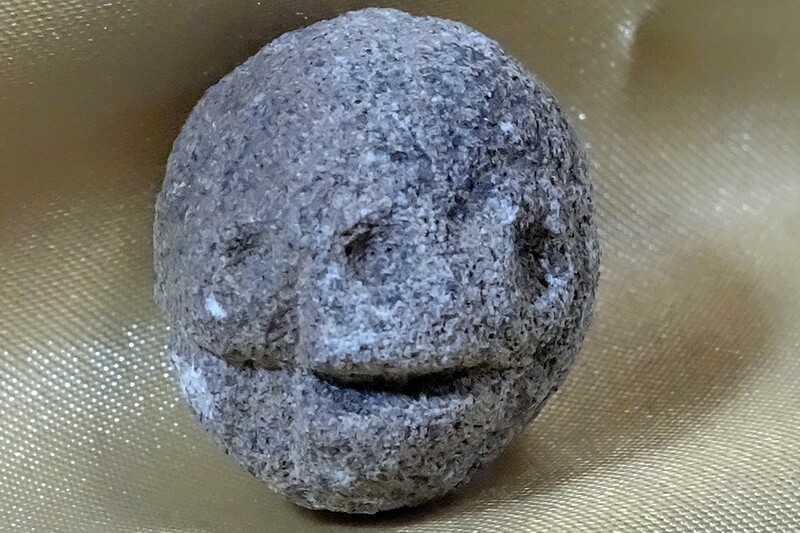 Archaeologists have named these types Tularosa Black-on-­white and St. Johns Polychrome. 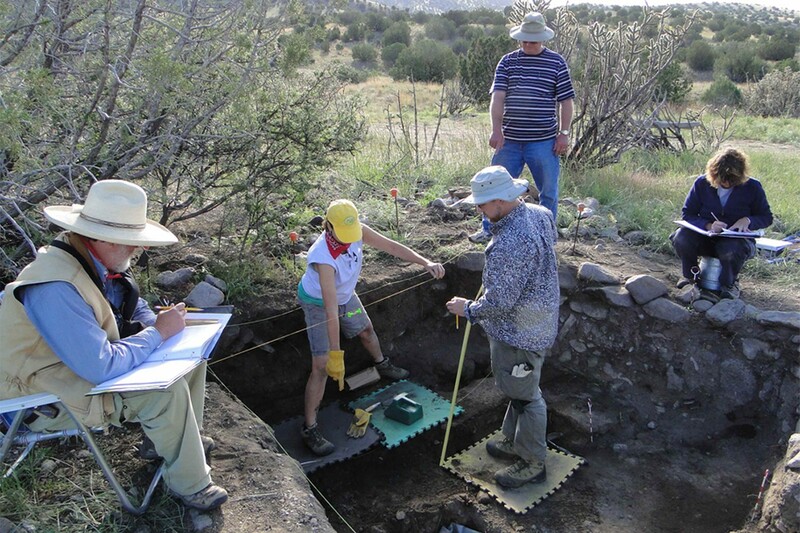 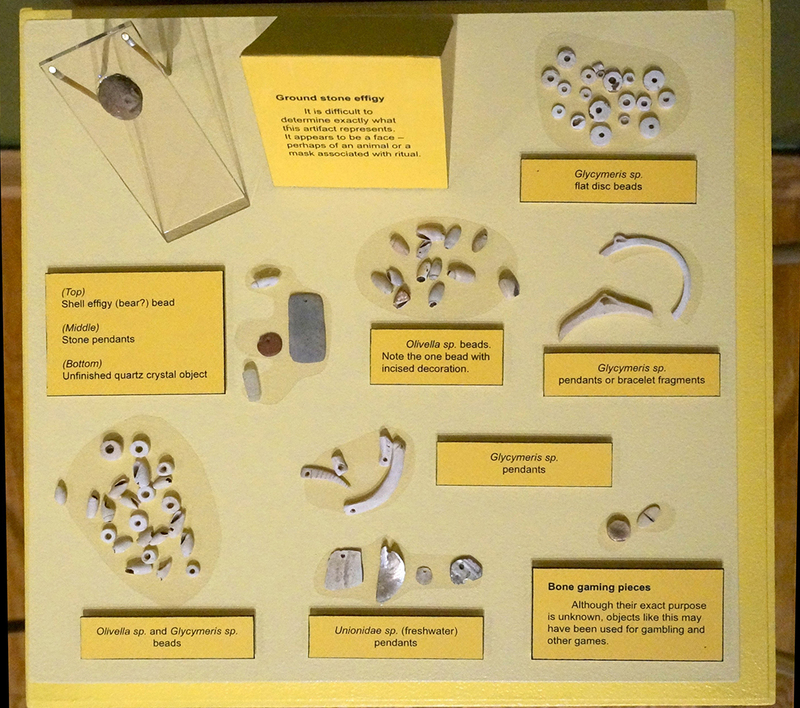 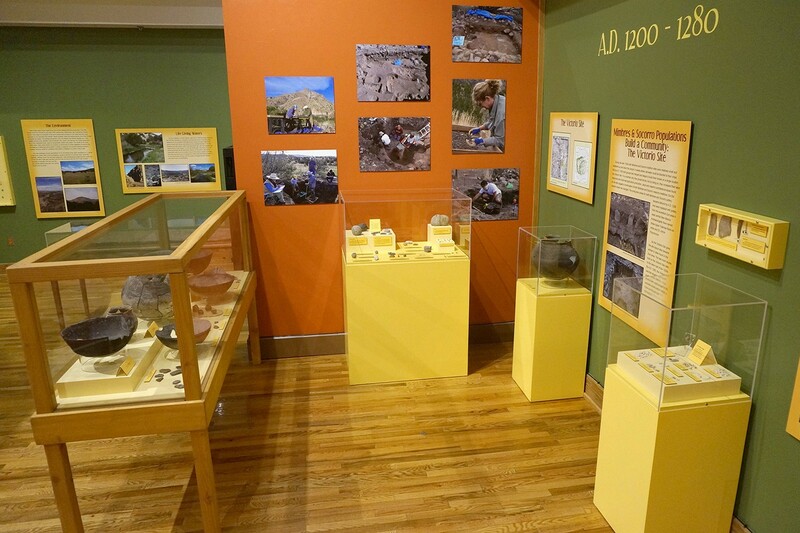 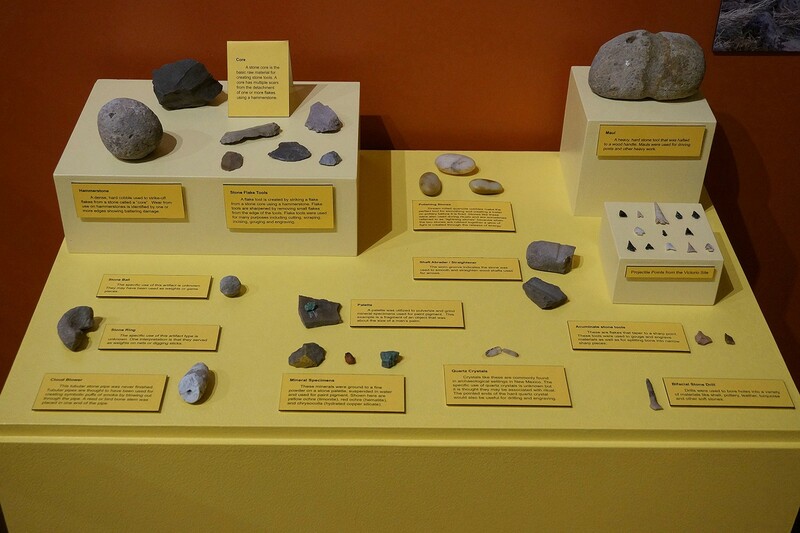 As the Victorio Site grew, the site layout also became similar to sites found in the Zuni area. 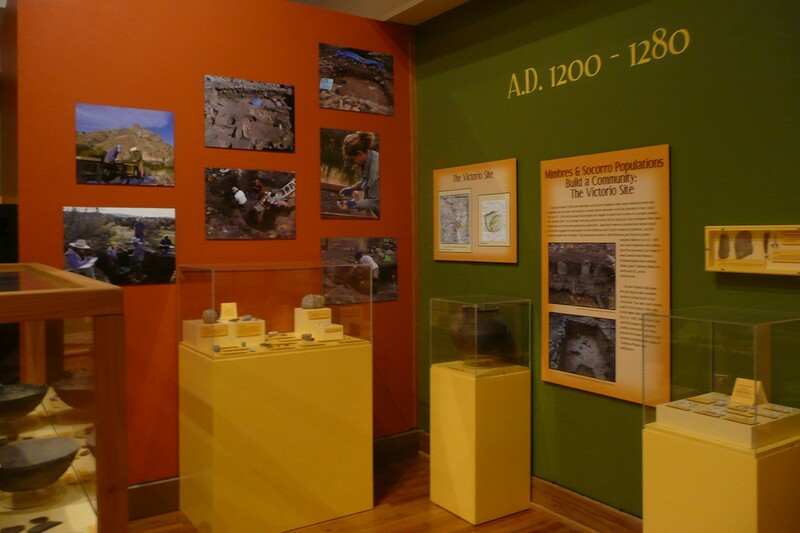 The last room blocks built on the Victorio Site date to the latter half of the 1200s. 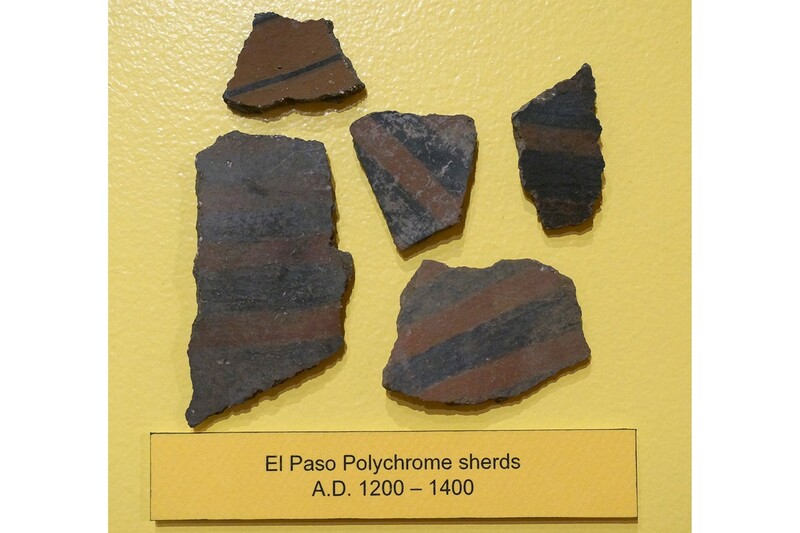 By A.D. 1260, the Victorio Site was the largest aggregated pueblo community for miles around and was located on the extreme southeastern edge of Tularosa Phase site distribution. 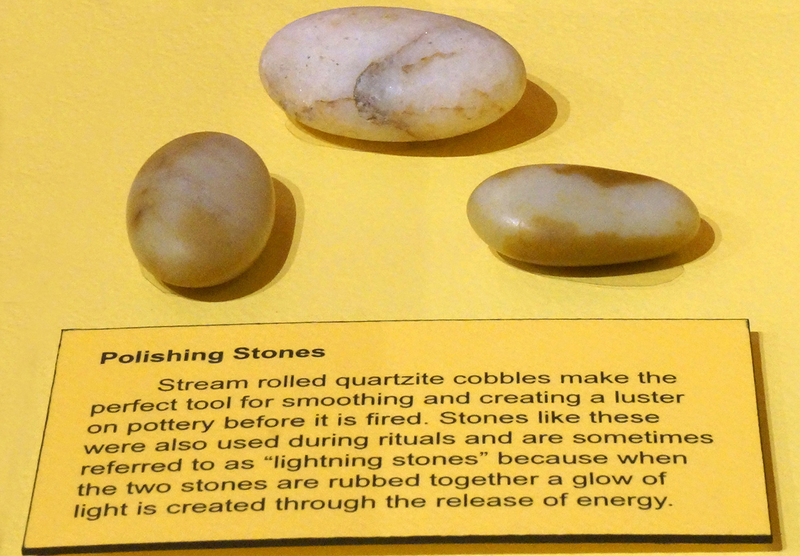 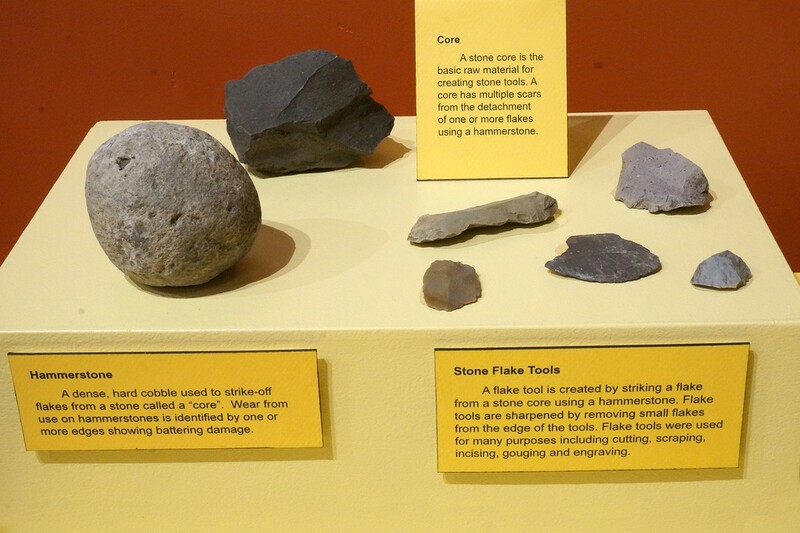 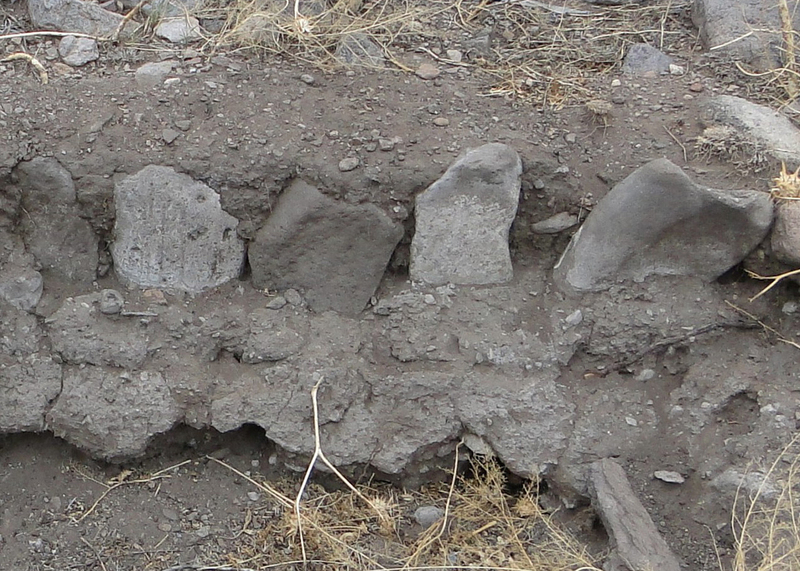 Upright stones set into adobe to support walls of cobble and adobe. 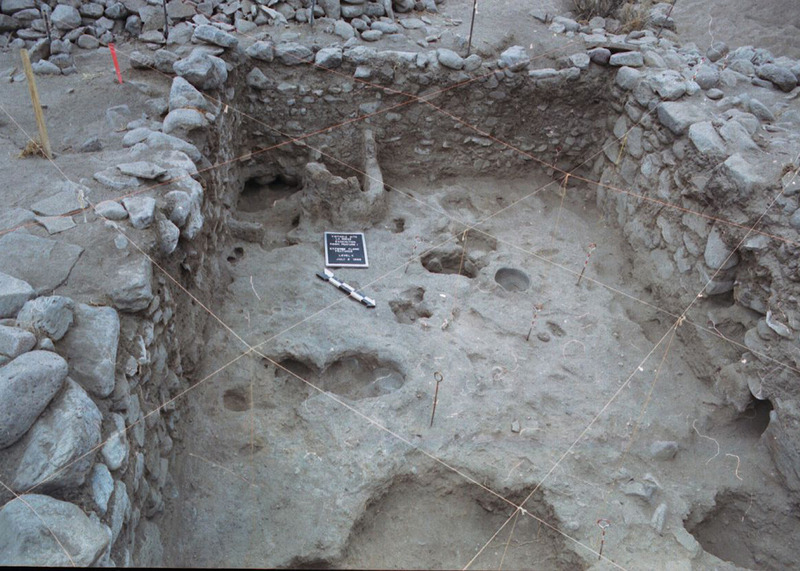 Well constructed walls of carefully placed cobbles define a large room at the Victorio Site. 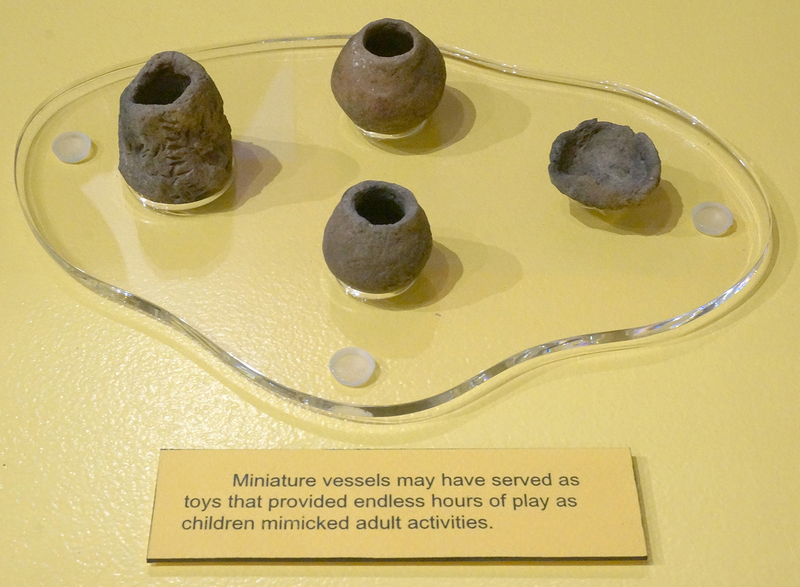 Miniature vessels may have served as toys that provided endless hours of play as children mimicked adult activities.